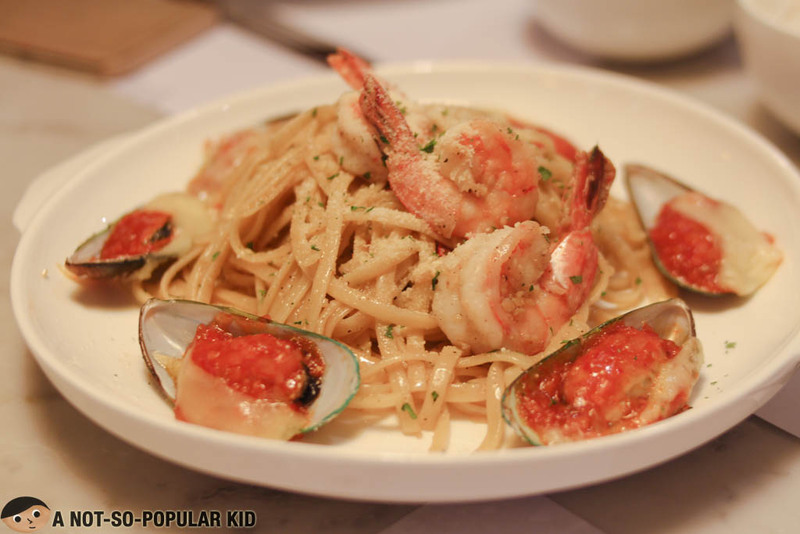 FAT restaurant is another creation of the man behind the highly indulgent and gastronomic Locavore in Pasig (read more). When it first opened its doors, it made a loud noise in social media, and this really urged me to give it a try. However, since BGC is not that easy to reach from the place I live as well as from where I work, I ended up "forgetting" about the place. Luckily just recently, I had the opportunity to catch a glance of the restaurant when I met up with some of my friends near Burgos Circle. Grabbing the opportunity, I suggested the restaurant, and they went for it. 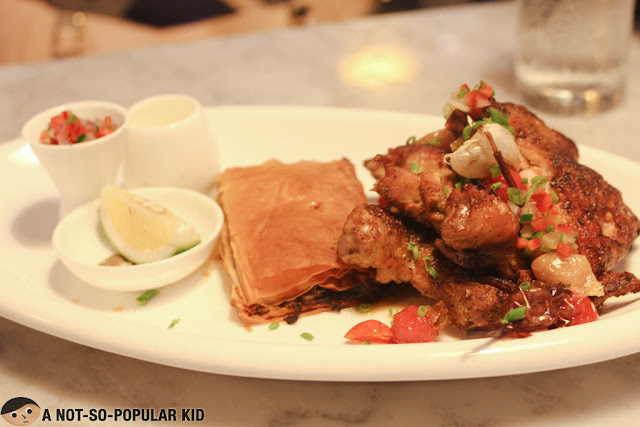 Here in this blog post, I am going to share with you a few dishes we tried. Hopefully, these are enough to give you an idea of what to expect here in FAT. 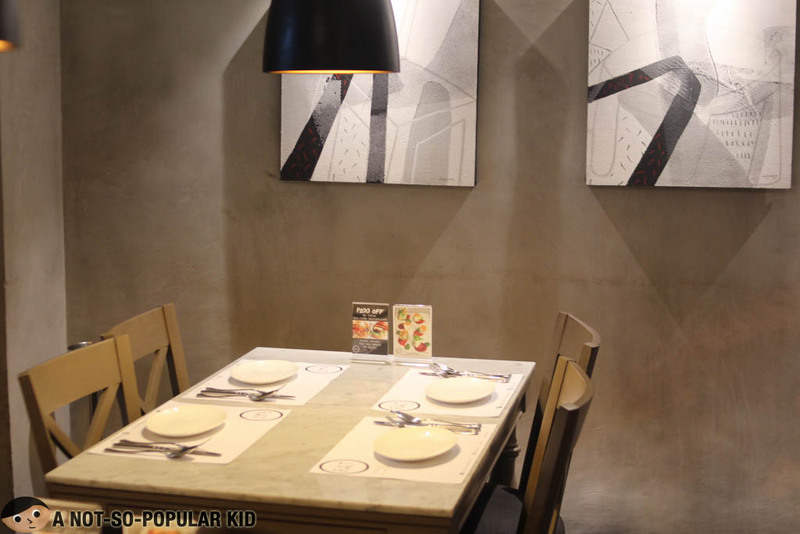 The interior of FAT has this "basic" and "bare" look yet this exudes a slight sophistication in the ambiance. Hence, this makes it a good candidate as a dating place. Of course, it's definitely a fine place for barkada eat out, but you just need to have your budget ready. 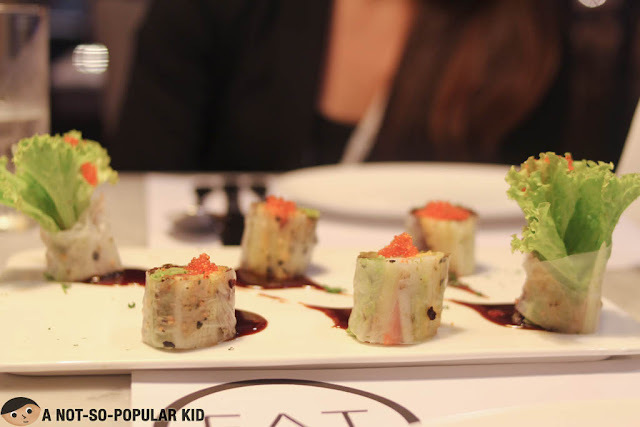 This Sprill Roll Salad came in with a dashing plating, but more than its appeal, it was also highly enjoyable to munch. It featured this sushi-like freshness and had wonderful textures, making each bite playful for the mouth. The sauce had this potent sweetness and peanuty taste, so just take a small dab of it. The Bavette Pasta had this sweet and sour flavors that brushes through the buds. It also provided this wonderful yet tolerable chili sensation. The highlight of the night for me was this Moroccan Spiced Chicken Fillet. 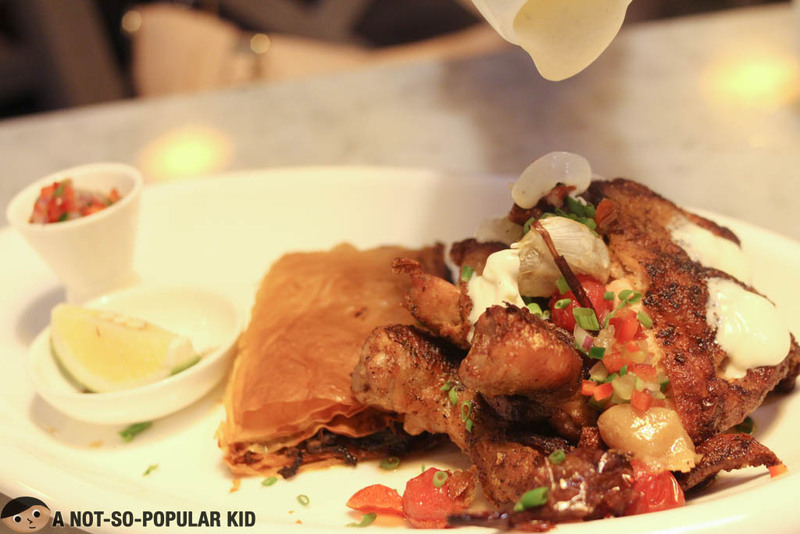 In this dish, you can find a harmonious fiesta of flavors that hit the palate in the right spots. It also had this tamed herb zest mixed with a blend of garlic essence. I highly recommend this dish! All the three dishes we tried had something in them that caught our attention. The most noteworthy for me was the Moroccan Spiced Chicken Fillet. It had this incredible blend of flavors that was simply memorable. Now, I understand that prices may not be too wallet-friendly, but I realized that this is BGC, and nothing much is "affordable" around here. Lastly, our experience could have been an unquestionable 'wow', if not with the lukewarm treatment we had. We could have appreciated even more if the waitstaff were more accommodating and put on a smiling face more frequently.